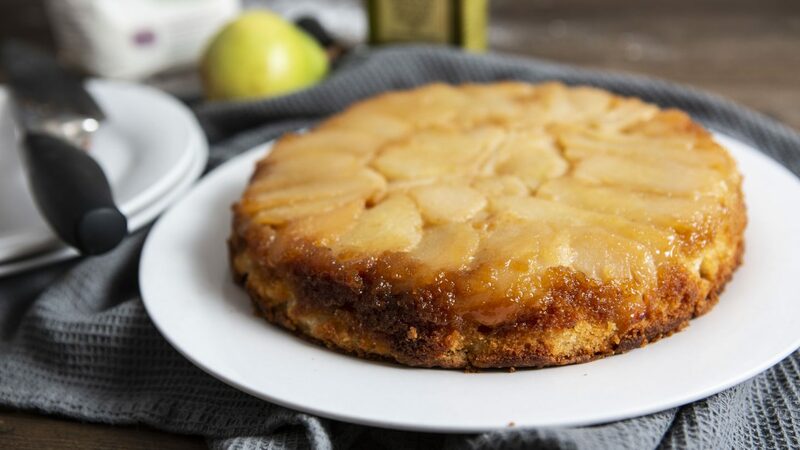 A terrific twist on a classic fruit upside down cake, the pear and ginger work great together, while the rum adds an additional depth of flavour. 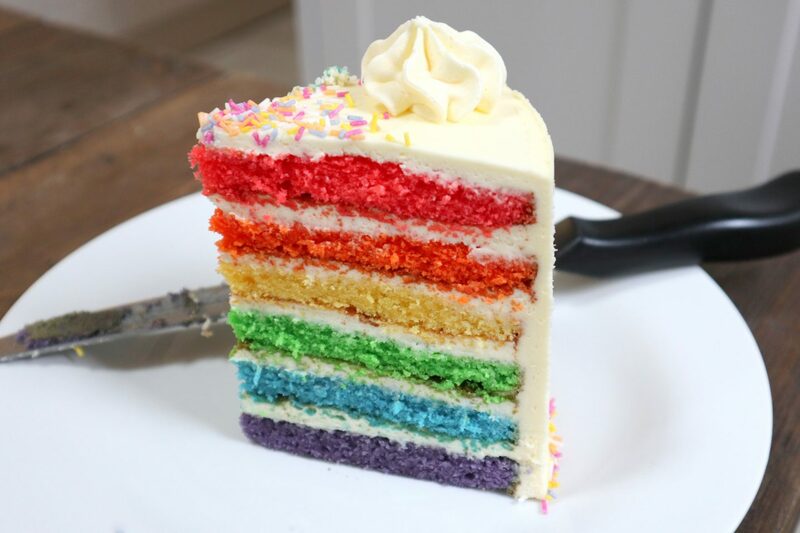 This sponge is so light and moist, you certainly wouldn’t know it was gluten free! Preheat the oven to 180C, gas mark 4 and grease and line a round cake tin, with a loose bottomed base. Line the base with parchment and bring it a little way up the sides of the tin, this will help hold in the pears in place. In a small pan over a low heat, melt the sugar. Do not stir until most of the sugar has turned golden and liquid, this can take some time so be patient. Caution this will be VERY hot, so do not touch it. Once all melted, add the butter and keep over the heat until this has melted and combined, stir regularly to achieve a smooth caramel, then add the ginger syrup and the rum and remove from the heat, stirring until smooth. Set aside to cool for 15 mins. While the sauce is cooling, peel and core the pears, cutting them into quarters. Then slice as evenly as possible lengthways each quarter into 3 or 4 slices. They may not be totally even but you can arrange them in your tin as your please. 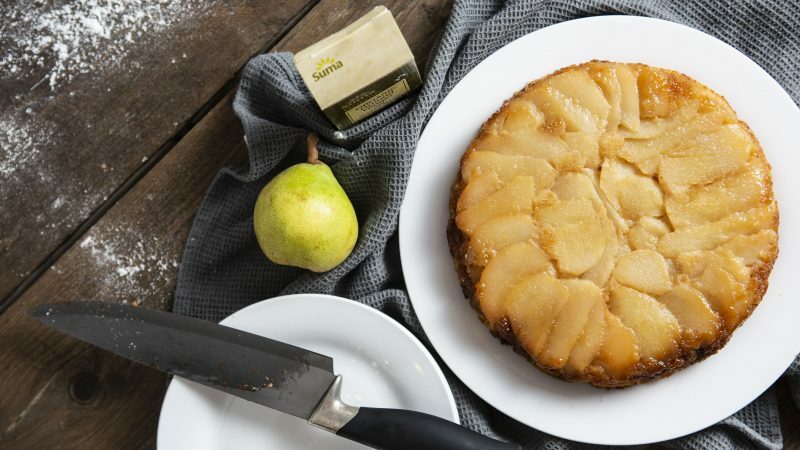 Taking the pear slices, coat each side in the caramel and place into the base of the cake tin, lining the base until completely covered with pears. I tend to layer mine in circles, from the outside working in. Then make the cake batter. Beat the sugar and butter together until light and fluffy, then very gradually add the eggs. Following that add the flour, almonds, ginger, all spice and baking powder and beat until fully combined. Add the natural yoghurt and the ginger syrup and beat a final time until you have a smooth cake batter. Carefully layer the batter on top of the arranged pears in the tin and level out. Bake in the preheated oven for 35-40 minutes until a skewer can be poked through the sponge, and it comes out clean. Remove from the oven and allow to cool. Using a plate, turn the cake upside down and peel off the base of the tin and the parchment (this must be done when the cake is warm or it will set and be difficult to remove). Enjoy warm (can be reheated in the microwave for 20 seconds per slice). Lovely with cream or ice cream! I hope you love this recipe as much as I do. It is great for this time of year and sharing with family and friends!